Late Night comedian Jimmy Fallon was announced to host the 62nd annual Emmy Awards airing live from coast-to-coast, Sunday, August 29 on NBC. 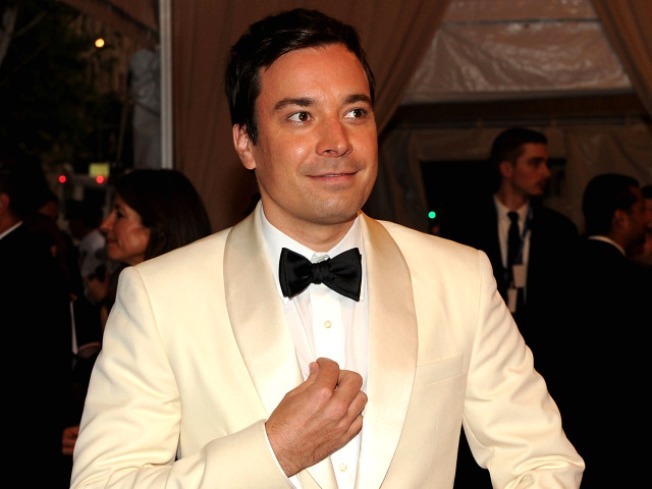 Talk show host Jimmy Fallon has been tapped to host the Emmy Awards this year. "Hosting the Emmys has been a dream of mine ever since they told me I was doing it," quipped Fallon, according to Access Hollywood. The comedian, turned NBC's Late Night host joins the ranks of Neil Patrick Harris who earned rave reviews for his performance at last year's show. But Fallon is no stranger to live TV and laughs, having sketch comedy experience from his Saturday Night Live days and past hosting gigs like the MTV Movie Awards in 2001 and MTV Video Awards in 2002. “Jimmy was the natural choice, one of the most promising and likable young entertainers who will now have the chance to display his many talents on television’s biggest night,” said NBC Universal Executive Vice President Paul Telegdy. NBC will air the 62nd annual Emmy Awards on Sunday, August 29th. Nominations for the awards will be unveiled Thursday, July 8, from the Academy of Television Arts & Sciences in Hollywood.